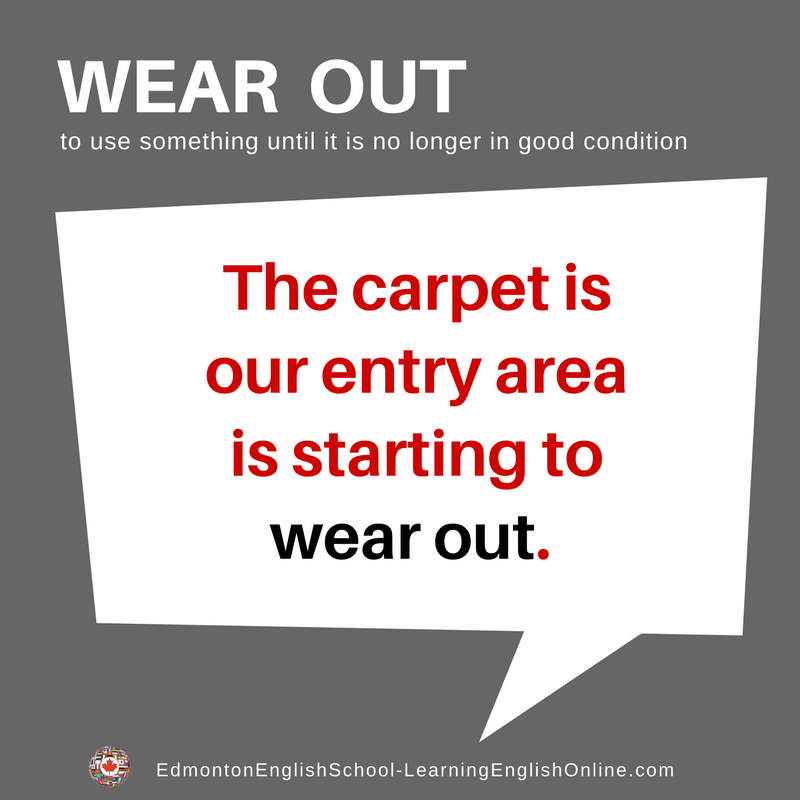 What is the Meaning of WEAR OUT? 1. The kids have been running around outside all day. All the playing has worn Josh out. 2. I have been working a lot of overtime lately. I am worn out. I plan to sleep all weekend! 1. I love this old coat. I have really worn it out. 2. All the foot traffic in the hallway is wearing out the carpet in that area. 3. I would like to stop by your office and take you out for lunch, but I don’t want to wear out my welcome by visiting too often.